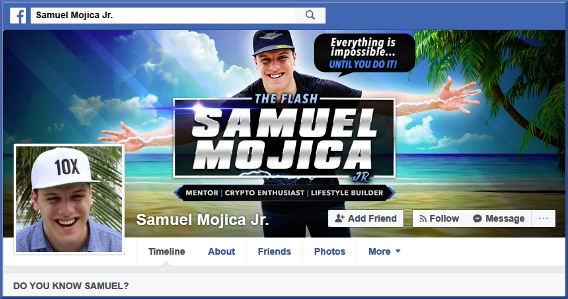 Thread: Samuel Mojica Jr. - Another Scammer? Does anyone know anything about this guy? 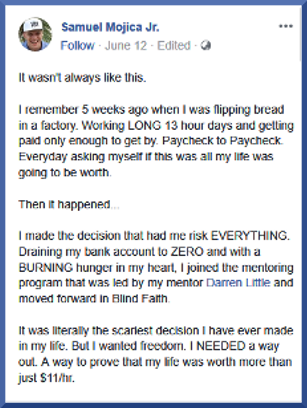 I've been following him for a while and he seems to be doing the same types of scam programs I've seen others talking about on here. Re: Samuel Mojica Jr. - Another Scammer? Not enough information on his FB page to know what he is really doing, and not worth signing up under him to find out. A good way to get bombarded by spam and countless email lists. Until he posts a link to a program he is involved with there is no way to tell. A website link would be helpful if you have it. And, what do you find ??? shipdit, Daveyw and Golden_Rule like this. 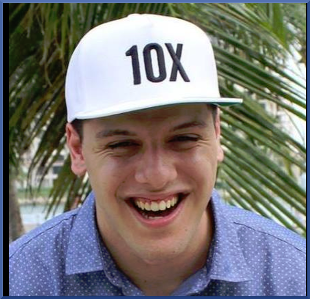 For someone who makes his living pimping get-rich-quick schemes, that is.